Declare Self Care and find your Purpose! 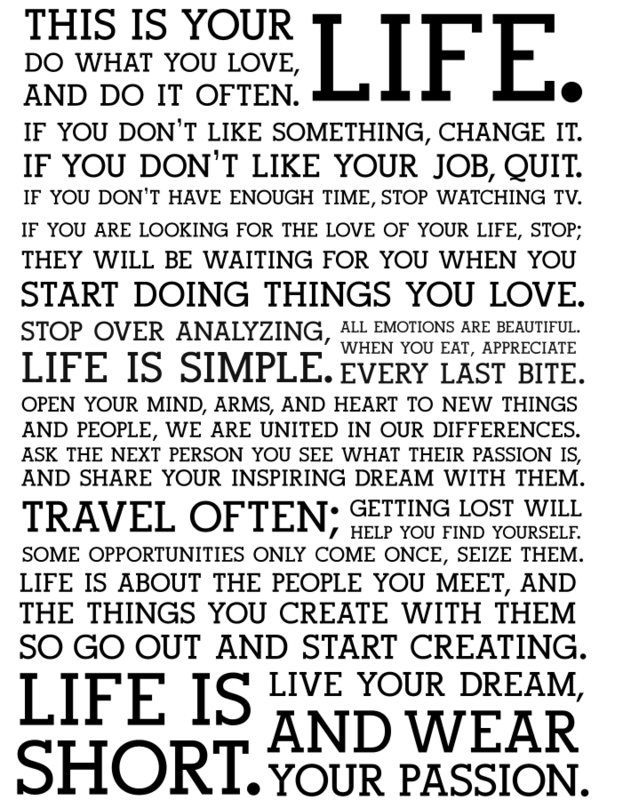 I love Manifesto’s. You know…all sort of wonderful words that help define standards or ways of living or being or doing things! a public declaration of intentions, opinions, objectives, or motives, as one issued by a government, sovereign, or organization. Well I’m not a government, sovereign, or organization. But I am in love with words and type and love to create with them! 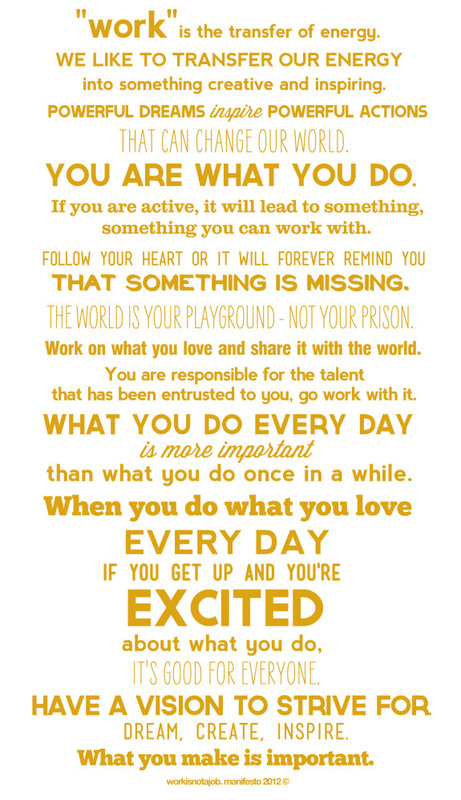 One of my all time favorite manifesto’s is from Holstee, titled The Holstee Manifesto. No doubt you have seen this everywhere online and pinned! I have a copy right on my desktop and I look at it everyday. The words stir action in me and I can’t help but smile! Another one I admire is from Work Is Not A Job. They have a whole bunch of wonderful words brought to gether that create many different pieces. This one is my favorite. The next one I found on pinterest! I love pinterest!!!! There are so many inspiring subway art, collages, cards and sayings…this post could go on for days!! I encourage you to join them and take a look for yourself. This one is The Women in Business Manifesto. Very inspiring! Here is one from Danielle Laporte…she is quite amazing and full of wise words! I believe that popcorn is food for the soul! All rights reserved. Remember Karma. Unless noted, all items posted on Om She Said is copyrighted by Rani Shah. Namaste and Thanks! Audrey Hepburn and my current favorite quote! It's Live-Bumptabulous, the book has launched!!!! MINDBODY Online Knowledge Base writer, Freelance writer, self proclaimed "rani" of all trades, mama to two growing girls, love all things arts and crafty!